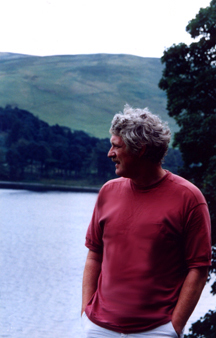 Welcome to the official website of contemporary British composer Richard Hill. Richard's compositions, ranging from full symphonic works to chamber pieces for brass quintet, are inspired by his broad experience in many musical genres and his love both of the natural world and of Jungian psychology. From the richly exuberant and exciting 'Symphony of Jazz' repertoire, via the magical orchestral ballet suite 'Images from Kubla Khan', to the dreamlike atmospheric electronic score and beautifully surrealistic songs of the music drama 'The Rime of the Ancient Mariner', both inspired by Samuel Taylor Coleridge, Richard's cross-art projects reveal a deep instinctive awareness of poetry, jazz, drama and film. The orchestral recording of 'Images from Kubla Khan', conducted by the composer and narrated by Ben Kingsley, attracted wonderful reviews on its release in the USA. You may also like to check out Richard�s new performance album 'Baroque Sounds' on which he demonstrates the power of the music synthesizer in creating musically sensitive interpretations of a selection of baroque gems by J S Bach, Giovanni Gabrieli and others. You might like to pay a visit to the Audio Poetry Listening Room. The APL Room, a unique concept in words and music, has been created as a haven of peace and tranquillity, where you can enjoy and reflect on the poetry written and read by Richard Hill, which is set to original musical soundscapes, in a production and composition partnership with son Paul. The result is a powerfully focused union of poetic and musical thought, a creative experience in the melding of two art forms born of the same imagination - a singular aural and literary delight, especially so when headphones are used! The APL Room offers the visitor a brief escape from the tensions and distractions of the real world - and here, downloads are free for personal use and enjoyment, whether of text or of audio files. Visually stimulating and imbued with a powerful and sure feeling for the sound palette that is orchestration, Richard's music is at once approachable and wonderfully imaginative - contemporary, yet evolving from a rich and cosmopolitan orchestral heritage. Scores and parts for all the individual works in the 'Symphony of Jazz' orchestral repertoire and for 'Images from Kubla Khan' may be hired from liz@richardhillmusic.co.uk. On our Scores and Parts page you will find full details of how to obtain quotes for hire material, perusal scores and music for sale. If you are a media producer or director, you may like to check out Richard's production library album on the Sonoton label 'Orchestral Discovery - Mother Earth - Mystery and Beauty' This is a lovely, descriptive album, celebrating the diversity of the world's many and varied landscapes. Click on Art Gallery to see Richard's creative work as a visual, abstract artist. These stunning digital 'paintings' are the result of a complementary fascination for art, design and psychology, given expression by the wonders of computer technology. Copyright �2018 Richard Hill. Site design by Paul Hill.